Cambridge Colleges offers evening, weekend, distance, and online college classes for working adults. Cambridge College is one of of the top colleges in Boston that specializes in offering an attractive mix of higher education opportunities - on campus as well as online college courses - for working adults who may have had limited opportunities to pursue a college degree earlier in their lives. The school was founded in 1971 as the "Institute of Open Education" at Newton College of the Sacred Heart, which merged with Boston College in 1974. Courses are held in the evenings and on weekends, mostly at several campus locations in the Harvard Square/Central Square areas of Cambridge, Massachusetts. 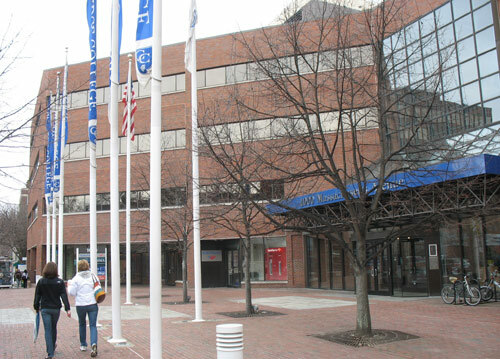 Some courses in the School of Management are held at a Boston site near the Museum of Science, while others are at area hospitals. In addition, Cambridge College offers some courses in Lowell and Springfield, Massachusetts, as well as in several other states and Puerto Rico. This popular Boston-area college stresses collaborative learning, and recognizes prior learning and life experiences. Much of the curruculum focuses on job-specific training, especially in fields such as early childhood education where education and degrees are becoming more important for employment. Undergraduate degree and non-credit professional advancement programs include management, human services, juvenile justice, and psychology. A specialized interpreter program includes training for medical interpreters, mental health interpreters, and human service interpreters. Graduate work is offered in psychology, counseling, and management. In addition, the college's National Institute for Teaching excellence brings together educators from all over the country for a summer degree program leading to Bachelor and graduate degrees. The school offers frequent information sessions at its main Cambridge site as well as other locations. Keep in mind that this is an urban non-residential college, so what you'll see are the classroom facilities. To find the dates for the information sessions, click on "Admissions" on the college's website, and then on "Information Sessions." Parking: Metered parking can usually (although not always) be found in small city parking lots off Mass Ave - look for the "P" signs.